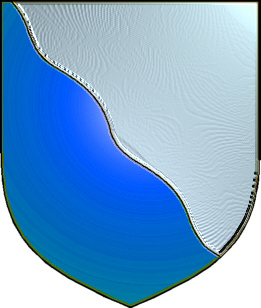 Coat of Arms: A shield divided per pale nebullée silver and blue. 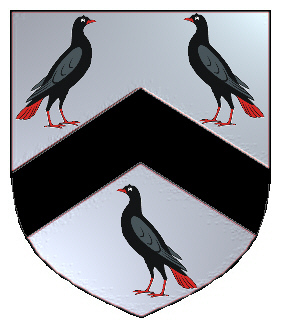 Coat of Arms: Silver with a black chevron between three Cornish choughs. Motto: I dduw bo'r diolch. Motto Translated: To God be thanks. 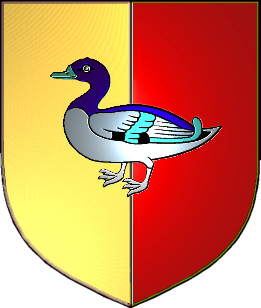 Coat of Arms: On a red and gold striped shield stands a duck.